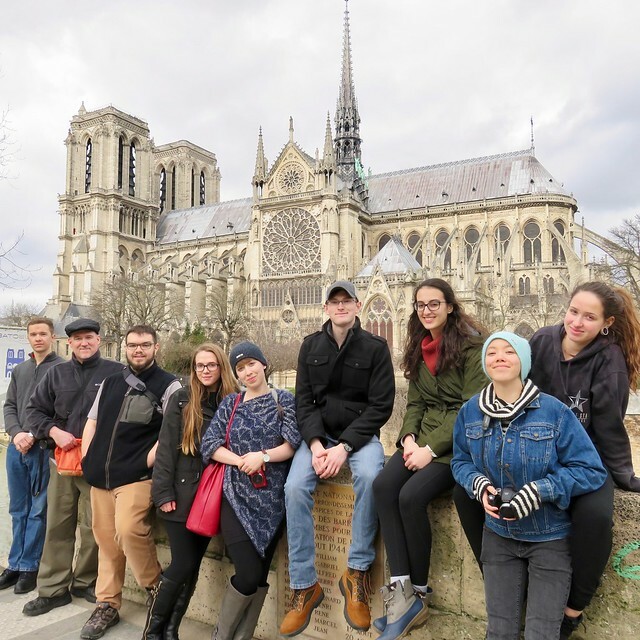 For me, it was interesting to see the differences and similarities both between Paris and a big city like Seattle and Canandaigua and Vitré. Because I lived in a city for a good part of my childhood and go back for 4 months out of the year, it was comfortable and yet everything was new in Paris. This was similar with my experience with Canandaigua and Vitré, although, there were more differences between Canandaigua and Vitré. 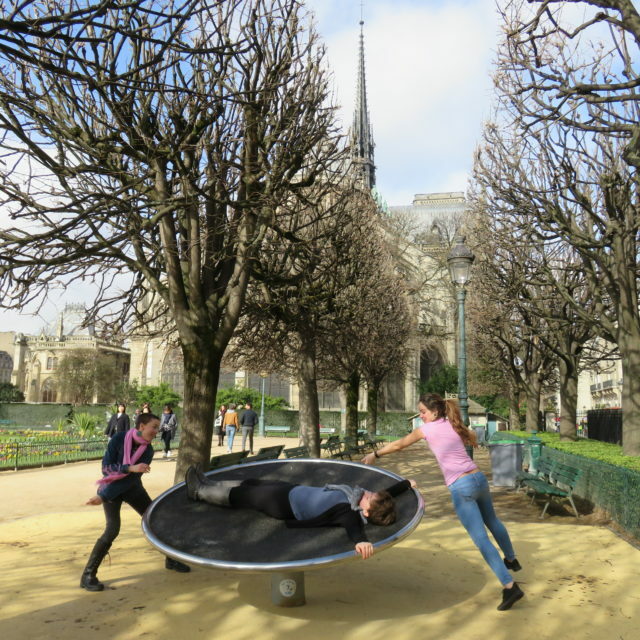 In Paris, I noticed that everyone was in their own heads and on their own path. No one would make eye contact or pay attention to the homeless people or people asking for money. This, to me, was very strange because in Seattle, it’s the opposite. In Seattle, people will stop and talk to anyone, whether it’s a homeless person or a stranger with cool shoes. If someone has something to say, they’re not afraid to say it, and that’s the most confrontational Seattleites will ever get. Another thing I noticed about how Parisians act that’s different from Seattleites is personal space. In Paris, people would walk like they owned the space. When two people approach each other in opposite directions, neither person would bow out which sometimes meant bumping shoulders. Where I am from, unless you are someone who feels entitled and shouldn’t have to move, you turn your shoulders so neither you nor your bags hit the other person. I think that the way people act in Seattle is an anomaly and we’re just extra open and “friendly” because no matter who’s watching, we want to be seen as a peaceful and caring person. We care more about what people think of us than we do about actually being a decent person in our actual lives. When it came to how Paris was structured as a city, it was something I was not expecting. The streets were constructed completely different and where we were staying, the buildings never reached above four stories. Everywhere seemed to be centered around the Seine. No matter where we went, I always knew which way the Seine was and how we were orientated. It was a refreshing difference from Seattle, where Downtown feels like it’s constantly dark and cold because all of the buildings are a good 20-30 stories, the tallest with 76. The streets in Paris, unless they were main roads, were narrow and winding. I’m used to very uniform one-lane streets with enough room for cars to park on both sides and concrete sidewalks, not marble and stone. It honestly took my breath away the moment we stepped off the Metro and reached the sidewalk that first day in Paris. I had never felt more lost and yet comfortable in my life. Vitré, for me, gave me the same feeling that Canandaigua gave me when I first moved. I thought that both, it would be a good place to retire and it feels like the town from Hot Fuzz with the secret society of old people who kill people to keep the peace. This may, however, be how I feel about all small and cozy town. In Vitré, I was a surprised to see how alike it was to Canandaigua. There was one thing in Vitré that I was happy to see and noticed that we don’t have in Canandaigua, busses. Big busses. Busses that are on a system that is actually functional and efficient for commuting. In Canandaigua, the busses are late, unkempt, and unreliable. I think that there is an efficient bus system because in France, gas is expensive which means less people want to drive. And if few people want to drive, there needs to be a way for others to get to work. Which makes public transportation a necessity. The use of trains and busses in France and Vitré is something I knew I should’ve been expecting, but was still in awe by once I got there.